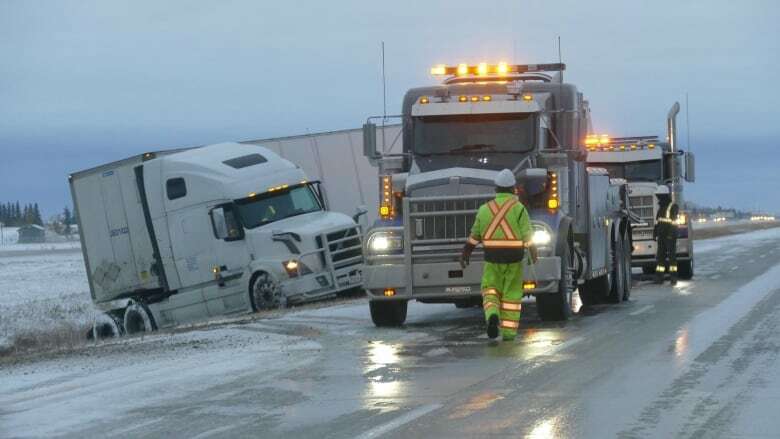 Saskatchewan Government Insurance (SGI) has suspended the semi driving instructor who's been one of the Crown corporation's harshest critics since the Humboldt Broncos bus crash. Reg Lewis' one-month suspension took effect Christmas Eve. According to SGI documents, Lewis breached the Crown corporation's code of conduct with his use of profanity and "instructional style." The veteran Swift Current instructor notes there were no safety or competence issues. He says he's being singled out and SGI is simply trying to silence its critics. "I think SGI is trying to tell me that I should keep my mouth shut — that I shouldn't be speaking up, that we're in charge and you'd better damn well better do it our way or you're going to lose your driving school," Lewis said in an interview this week. "To claim that a suspension was motivated by anything else would be unequivocally false," an SGI official said in an email Thursday. Shortly after the Broncos crash, Lewis blasted SGI and the Saskatchewan government for the lack of training. Fellow instructors, drivers, academics and Broncos' family members agreed. Some of the incidents cited by SGI date back to 2014. In one, Lewis yelled and "berated" a student who drove the semi over a curb as he rounded a corner. When questioned at that time, Lewis supplied SGI with video evidence. SGI said the video "demonstrated multiple missed opportunities for instruction and the use of profanity." Another SGI document stated a student experienced the worst anxiety of his life this November after Lewis yelled at him to "Put the <expletive> clutch to the floor and put the <expletive> truck in gear." In an email Thursday to CBC News, SGI officials said the Crown only issues suspensions after taking all other steps to address "serious and repeated concerns." They noted Lewis had previously been put on probation, some of which predates his public criticism of SGI. Lewis said these and other allegations are a "joke." He admitted to using the "f-word" for emphasis, but said it's common language in trucking and many other industries. "We're all adults here. Sometimes, it happens," he said. As for yelling, Lewis said it's necessary when someone drives on a sidewalk or requires immediate correction. "I am pleased to report there were no substantive issues identified," an SGI official wrote following a 2016 ride-along evaluation. In June, another SGI evaluator asked Lewis to adjust his instructional style but told him, "Your dedication and passion for traffic safety is evident." "A long time ago I decided I don't care who I upset," he said. "Either you're here to learn how to drive a truck or you're not."